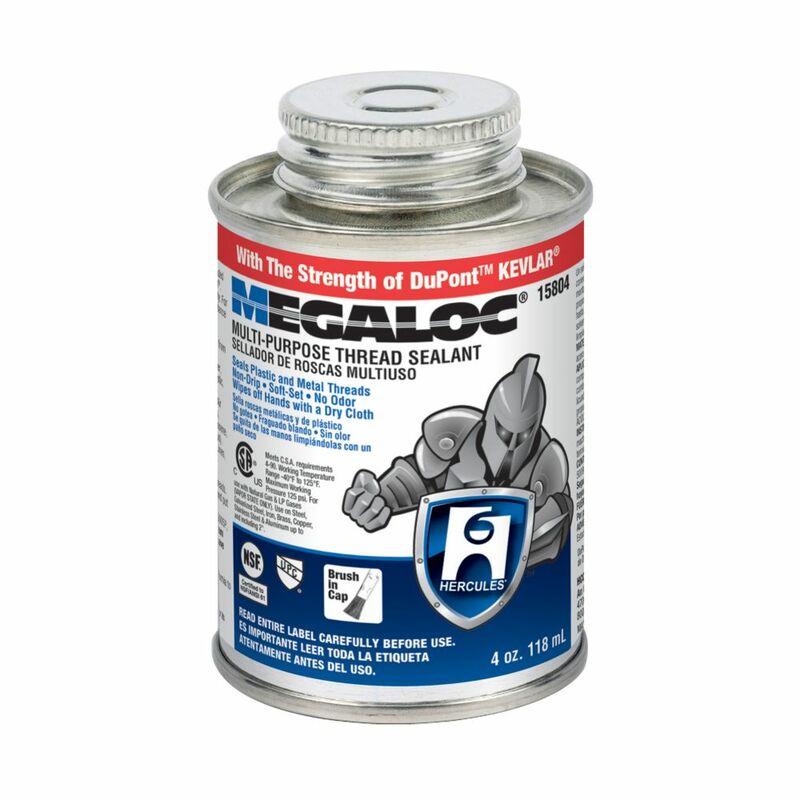 4 Oz Megaloc Thread Sealant is rated 4.4 out of 5 by 13. Rated 1 out of 5 by Bruced4 from Used this for several transitions from steel to CPVC threads. They all leaked under pressure from... Used this for several transitions from steel to CPVC threads. They all leaked under pressure from city water supply. Had to re-do all with teflon tape. Rated 5 out of 5 by carcash101 from This is a good product that does what said. I've use in diesel salt and fresh water with no leaks... This is a good product that does what said. I've use in diesel salt and fresh water with no leaks. Very simple to apply.